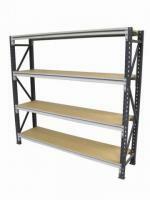 Extremely popular for the situation when you don't need the capacity of heavy duty pallet racking. 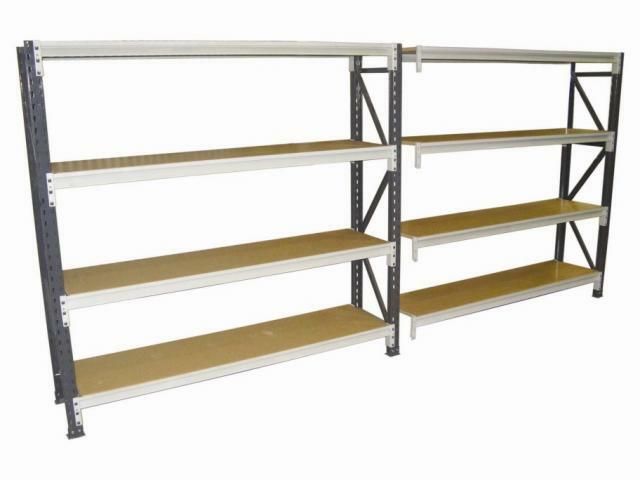 Longspan is a high density, high quality, economically priced, shelving system. The rebated beams take MDF, melteca, plywood or powder coated metal shelf panels. 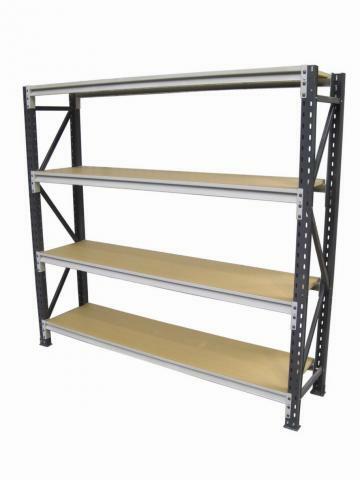 Shelf supports are recommended when shelf depths exceed 600mm for extra support. Longspan has a 5 Year guarantee and ISO 9002 accredited. Full epoxy powder coated finish.